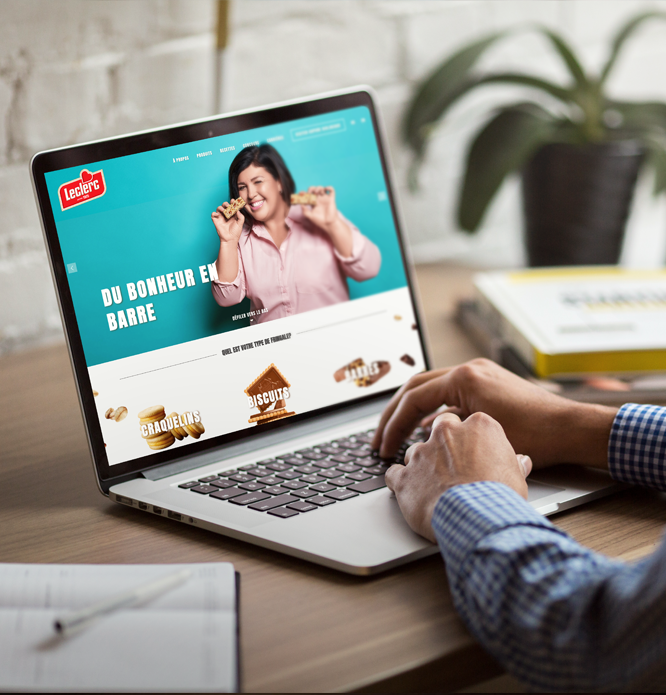 Leclerc wanted to execute the complete redesign of their website and be able to have full control on the content that would be presented. Shortly after our participation to their tender, Cortex's techno-creativity was the element that got us chosen for creating a responsive web design that would serve as virtual window to Leclerc. The point that stood out and which would require the most effort was to build a responsive web design able to render perfectly through desktop, mobile and tablet. Plus, we had to work around Leclerc's existing career platform that appears in said section of their website. Finally, the UX had to be animated, modern and had to represent Leclerc's vision. Through Ruby on Rails development, Cortex started building the multi-platform design that would match Leclerc's end user needs. Ruby allowed us not only to provide a responsive design but also ensure Leclerc's full autonomy over the content of it through Rails Admin.